Alternatives for the immensely expensive platinum and platinum-group metal (PGM) catalysts, presently used in fuel cell electrodes, are being developed by Researchers in order to decrease the cost of next-generation polymer electrolyte fuel cells used for vehicles. New work at Los Alamos and Oak Ridge national laboratories is presently solving complex fuel-cell performance questions, both in understanding how they work at an atomic level and in determining efficient new materials. This research has been described in the recent edition of the journal Science. What makes this exploration especially important is that it enhances our understanding of exactly why these alternative catalysts are active. We’ve been advancing the field, but without understanding the sources of activity; without the structural and functional insights, further progress was going to be very difficult. Building on earlier studies, the Los Alamos-headed team has synthesized catalysts containing low-cost platinum alternatives that generate performance comparable to the conventional PGM fuel cell catalyst employed in vehicle applications. 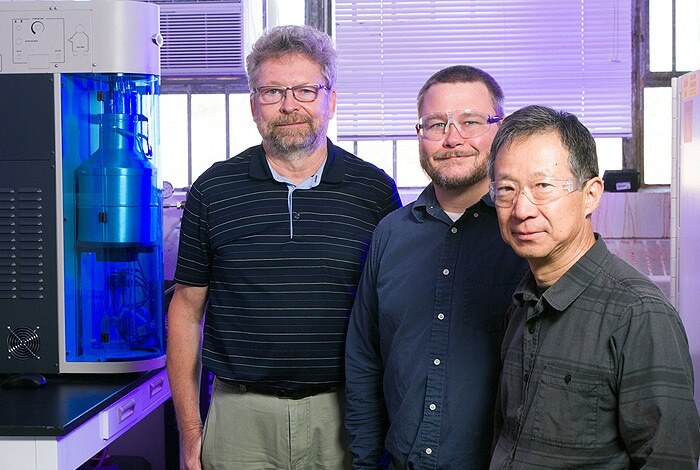 Researchers used refined microscopy at Oak Ridge National Laboratory (ORNL) in order to directly study the single-atom active sites in the unique material where catalysis occurs, which provided novel insights into the PGM-free material’s efficiency potential. Platinum helps in the electrocatalytic oxidation of hydrogen fuel at the anode and electrocatalytic reduction of oxygen from air at the cathode, generating usable electricity. The possibility to discover a cost-effective, viable PGM-free catalyst alternative is now increasing, however, exactly where and how catalysis is taking place in these new materials has been a long-standing challenge. According to Zelenay, this is true particularly in the fuel cell cathode, where a comparatively slow oxygen reduction reaction (ORR) occurs that needs significant ‘loading’ of platinum. An iron-nitrogen-carbon (Fe-N-C) electrocatalyst is the new material analyzed in this research. This new material is synthesized with two nitrogen precursors that produced a hierarchical pore structure in order to expose a huge fraction of the carbon surfaces to oxygen. Its fuel-cell performance is almost like that of platinum catalysts, a major advance, as recognized in fuel cell test-stand performance. ORNL Researchers succeeded in providing the first direct observation of the frequently proposed ORR active site, FeN4, at an atomic level, by using ORNL’s aberration-corrected scanning transmission electron microscope and electron energy loss spectroscopy. With both this performance and the atomic visualization of the reaction sites, we are closing the gap to replace platinum with a high-performance catalyst poised to be scaled up for potential application in fuel cells for automotive applications. Additionally, the high activity of the FeN4 active-site structure and Fe-N-C catalysts was predicted by computer modeling performed at Los Alamos, as was the possible reaction pathway. In this paper we’re tying the modeling and the microscopy results with the electrochemically determined high activity of a PGM-free oxygen reduction reaction catalyst. Los Alamos research into fuel cells increases the options for energy production in support of the Laboratory’s mission of establishing the nation’s energy security. This work was funded by the U.S. Department of Energy’s Office of Energy Efficiency and Renewable Energy, Fuel Cell Technologies Office. Microscopy was carried out as part of a user project supported by ORNL’s Center for Nanophase Materials Sciences, a DOE Office of Science User Facility. The Institutional Computing program of Los Alamos National Laboratory provided computational resources.